For over 50 years, Savlon has kept Indians protected against germs. Starting out with Antiseptic Liquid, Savlon has gained repute for effectiveness in germ protection and its gentle action on skin. Savlon Antiseptic has been a trusted brand for last 50 years and is preferred by the medical fraternity for its broad spectrum action. 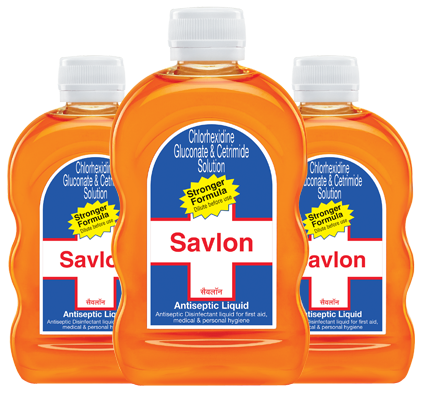 Savlon Antiseptic Liquid has a unique formulation of Chlorhexidine Gluconate & Cetrimide. It is an antiseptic liquid which finds wide application across hospitals & homes for disinfection and wound healing. Savlon Soaps come with a unique proposition of "Tough on Germs, Gentle on Skin". 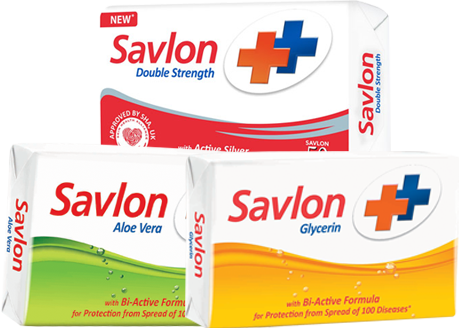 Savlon Glycerine soap: Offers germ protection with gentle moisturising. Savlon Aloe-Vera soap: Offers germ protection with natural moisturising. Savlon Double Strength soap: Offers germ protection with the Goodness of Active Silver. The range of Savlon Handwash with Silver Nano particles comes in 3 exciting variants & propositions giving protection against 1 million germs. Savlon Double Strength Handwash: Its unique formula with medicated fragrance, offers effective and powerful cleansing for hands with extra dirt & grime Savlon Moisture Shield Handwash: Its unique formula with floral fragrance, offers moisturized cleansing to make hands soft & supple. 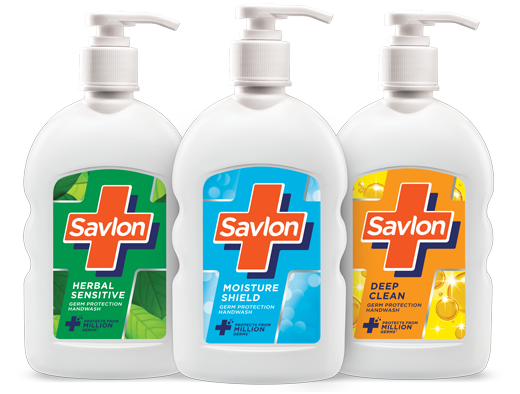 Savlon Herbal Sensitive Handwash: Its unique formula with herbal fragrance, has been designed for Sensitive skin.